I'm so glad Overcooked found a sustainable, adoring audience in the almost two years since I first tried it on a whim. This simple yet hectic cooking game is one of the best co-op titles around. The basic concept is easy -- you assemble food orders component by component without missing deadlines or setting the whole kitchen ablaze -- but it's spontaneous enough to keep you on your toes. I'm also glad Ghost Town Games didn't take long to make a sequel. The original Overcooked was a joy through and through. Even after earning three stars on every stage and burning through the DLC, I just wasn't ready to stop playing. I needed more. 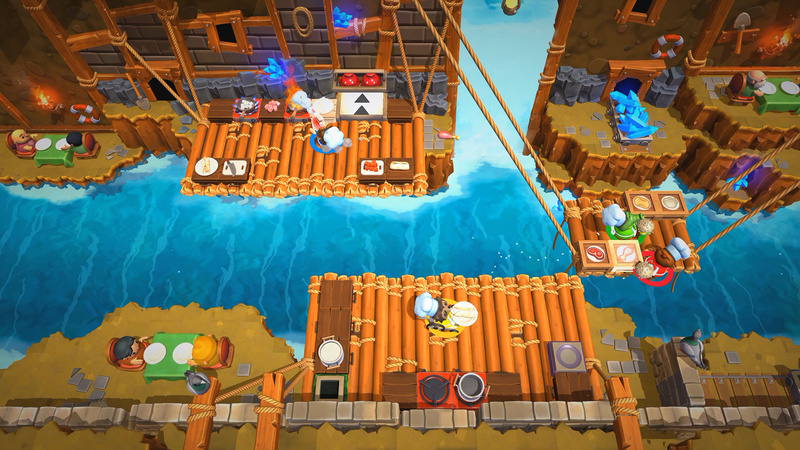 Overcooked 2 adds online multiplayer, new recipes, and more dynamic stage hazards, but it's fundamentally the same experience. I'm perfectly fine with that. 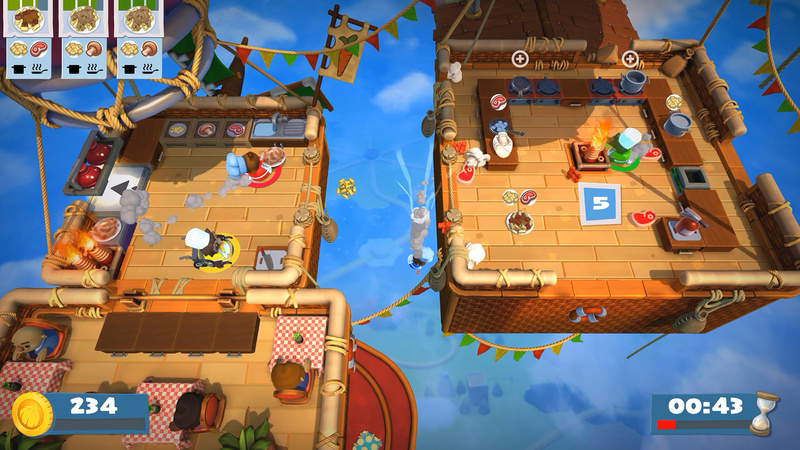 A typical level in Overcooked 2 starts quiet. You form a game plan with your partner(s), dole out tasks, and try to waste no time cooking, plating, and delivering meals. But pressure mounts as the timer ticks down, and then it happens: someone falls off a ledge or has a brief lapse of concentration. Suddenly, things get loud. You bark orders at each other and scramble to get something edible on the plate. That's the key -- the reason Overcooked 2 is so much fun and crucially stays fun. No matter how streamlined your process is, at a certain point, you're going to have to adapt to avoid bottlenecks. No two runs play out the same way. While making cheeseburgers, you might be in charge of prepping meat and frying patties while your partner is on cheese/tomato/lettuce duty. That'll work for a bit. But dirty dishes will soon pile up and the kitchen might transform, leaving one of you stranded from your self-set responsibilities. If you can't seamlessly finish each other's work, those burgers will catch on fire. To do well, you need to stay in constant communication. The more people participating, the rowdier it'll get. 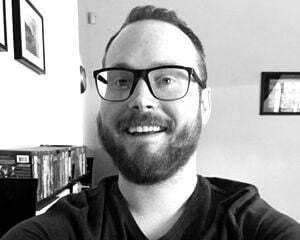 Overcooked 2 fully supports solo play (you swap between control of two characters), but I don't recommend it. The game is without a doubt best played in groups of two, three, or four players. While a couch co-op setting is ideal, online multiplayer can do the trick if you don't have enough controllers. The biggest point of differentiation between the two games is that the level designs feel much less static now. You might start your cook-off in a hot air balloon only for it to crash and leave you prepping different meals in the fiery wreckage. Some levels use roaming teleporters that can spit you out in the wrong spot if you mess up your timing, while other stages are set above chasms and require you to maneuver walkable platforms using a physical joystick. You're always up against some new challenge. The recipes themselves aren't wildly different (think sushi, pizza, pasta, and cakes), but the lively new level gimmicks help make up for it. Still, I would've liked to see more elaborate or unexpected dishes. 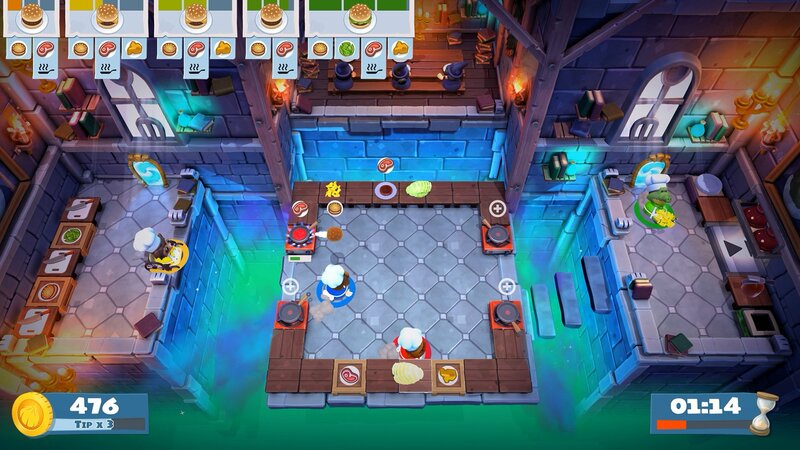 There's also more of a focus on strategically throwing ingredients (as opposed to just stockpiling them on the floor like in the first Overcooked). You can pass certain items to your partner or, better yet, toss them into pots and pans. This is a godsend in later levels where hazards constantly block access. Every so often your chef won't quite do what you wanted and it'll feel like it's more the game's fault than it is you simply fumbling with the controls. Specifically, placing items doesn't feel as consistent or snappy as it could. I experienced this far more on Nintendo Switch than I did with the high-frame-rate PC version but, that said, it's only a minor frustration in what is intended to be a frantic game.